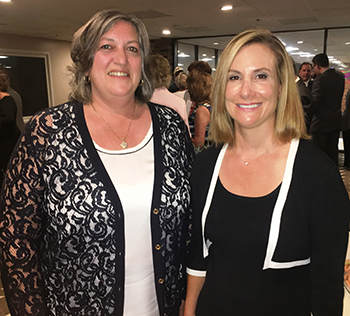 Chester County Commissioners Kathi Cozzone and Michelle Kichline were elected this week as officers of the County Commissioners Association of Pennsylvania (CCAP) for 2017 – Commissioner Cozzone as second vice president and Commissioner Kichline as treasurer. The announcement of the election results was made at CCAP’s annual conference in Carbon County, PA. Commissioners’ Chair Terence Farrell was elected as CCAP District 5 Representative. CCAP is the voice of county government; a statewide nonprofit, nonpartisan association representing all 67 counties in Pennsylvania. CCAP members include county commissioners, council members, county executives, administrators, chief clerks and solicitors. CCAP strengthens the counties’ abilities to govern their own affairs and improve the well-being and quality of life for every Pennsylvania resident. It advocates for favorable state and federal legislation, programs and policies on behalf of counties. CCAP is committed to service excellence through education, information, insurance, technology and other programs that support effective county government. Founded in 1886, CCAP is an affiliate of the National Association of Counties.